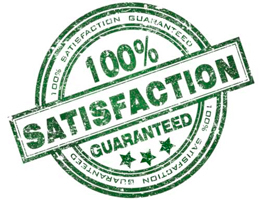 Ask for ’Satisfaction Guaranteed’ on your next purchase. For IWAKI our goal is not only to develop and deliver pumps and complete solutions, we do our utmost to meet our customers’ expectations and to ensure the best possible economics, quality, stability and functionality. You can ask for ’satisfaction guaranteed’ in connection with your upcoming orders. ’Satisfaction Guaranteed’ will give you. 100% Satisfaction or Money Back! IWAKI Nordic A/S has experience and expertise from many different pumping tasks, enabling us to offer the ’Satisfaction Guaranteed’. IWAKI pumps are manufactured under high quality requirements. Our plants in Japan are certified according to ISO 9001, and all pumps are undergoing a comprehensive test and test run before delivery. In addition our plants are environmentally certified according to ISO 14001. With ’Satisfaction Guaranteed’ you have 90 days return. If you are not completely satisfied with the delivered product, you can get the money back with the ’Satisfaction Guaranteed’ by returning the product within 90 days from the delivery date.